Reassurance shield after the 123 junction. 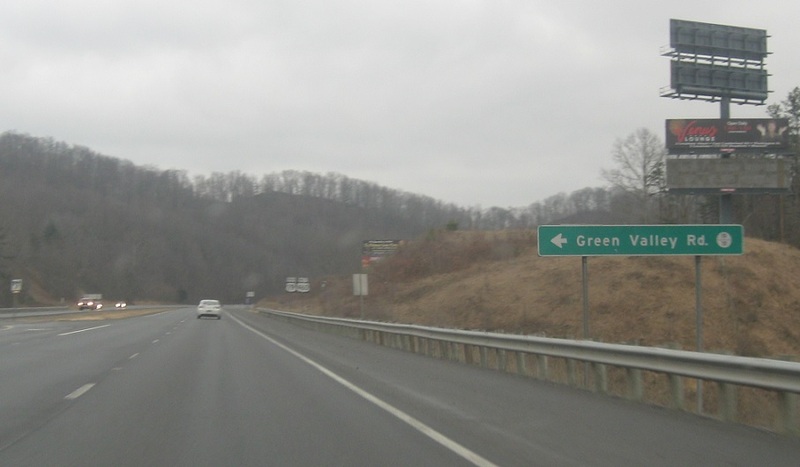 Turn left for Green Valley Rd. Reassurance shield after Green Valley Rd. 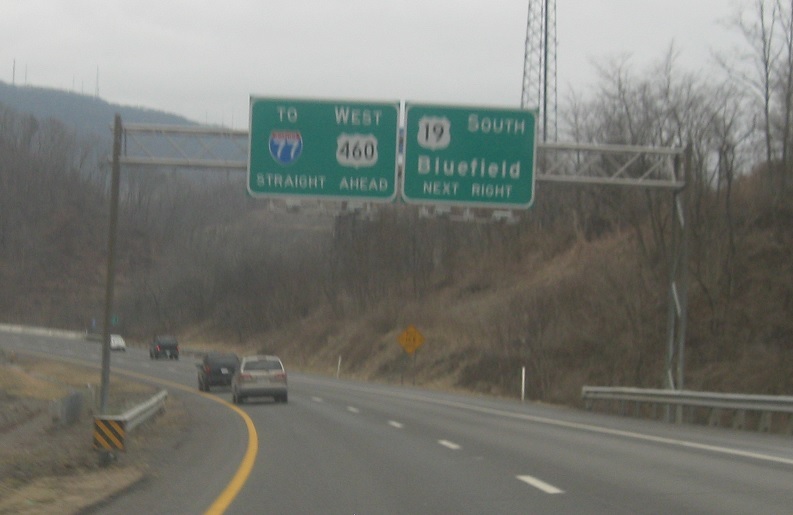 Ahead, we’ll approach two more fractional routes. 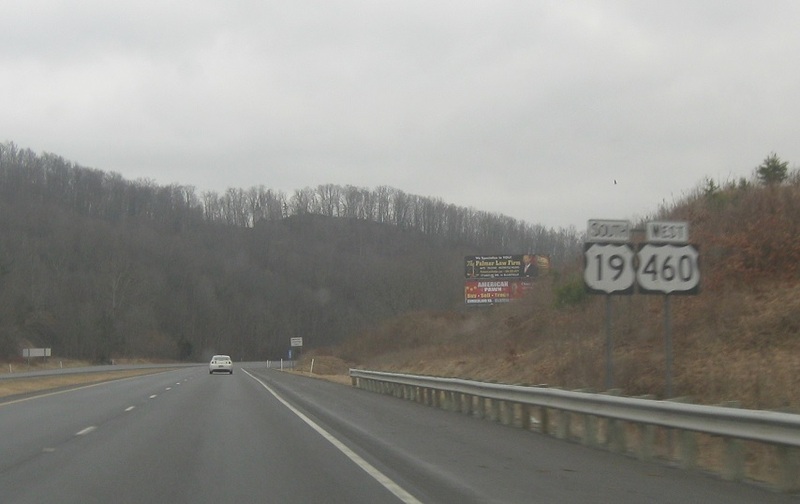 Turn left or right for CR 19/33. 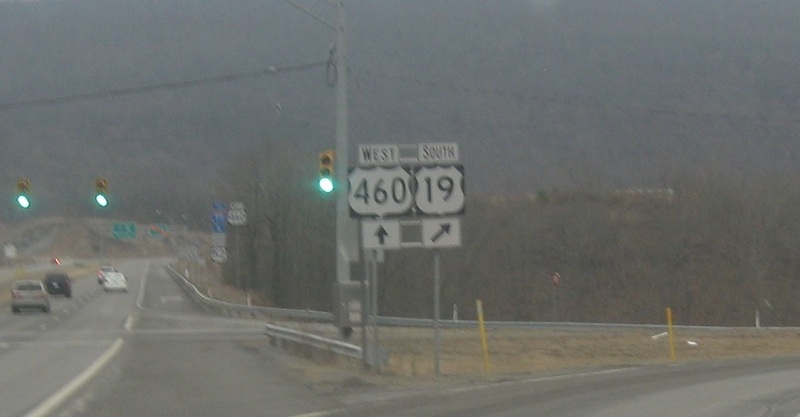 Just after that, we’ll get advance notice of the US-52 junction from US-460. 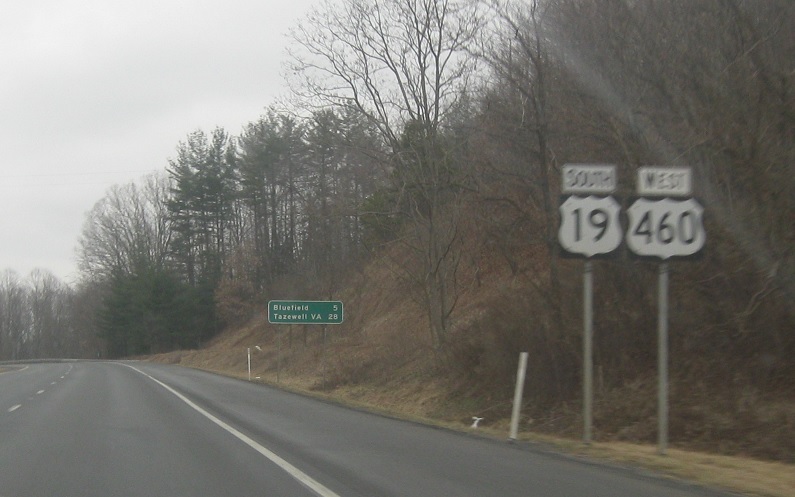 US-19 splits before this point. 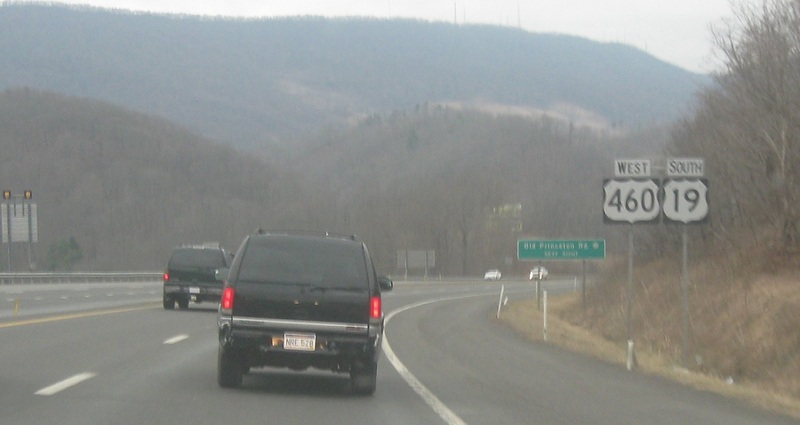 1.25 miles to the US-52 exit via US-460. Junction CRs 38 and 25 coming up, before the 52 junction or the 19 split. Turn right for 25 and left for 38. 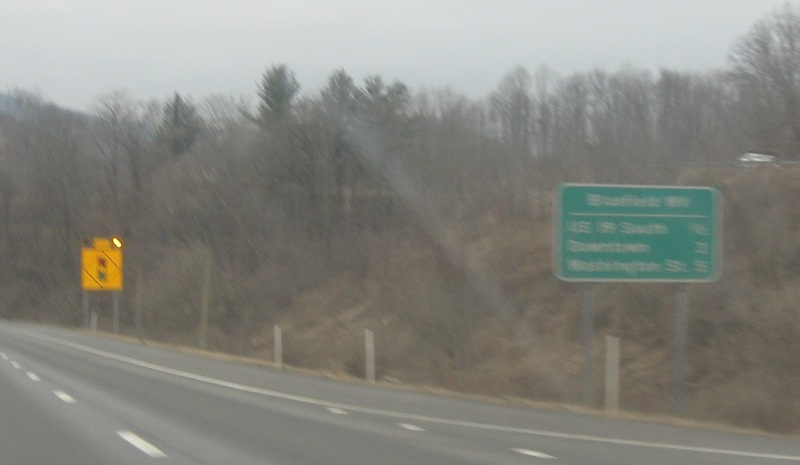 Reassurance shield after the county roads. 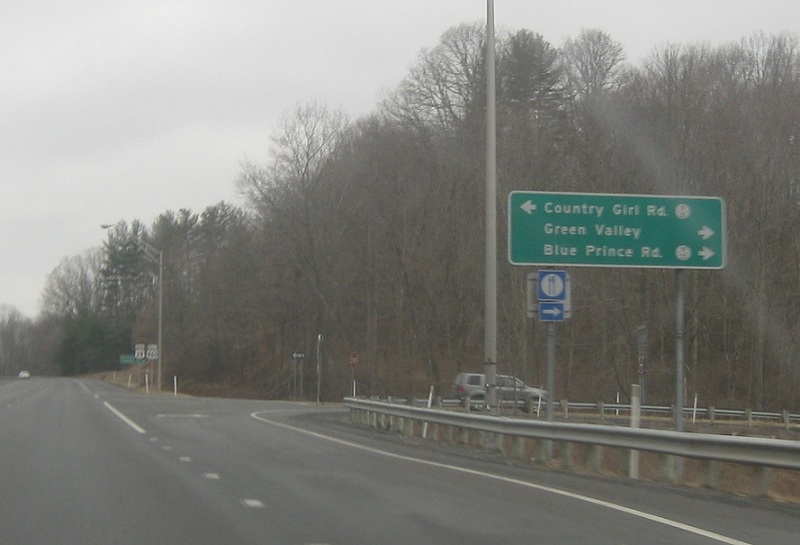 Just after that, we’ll approach CR 25. 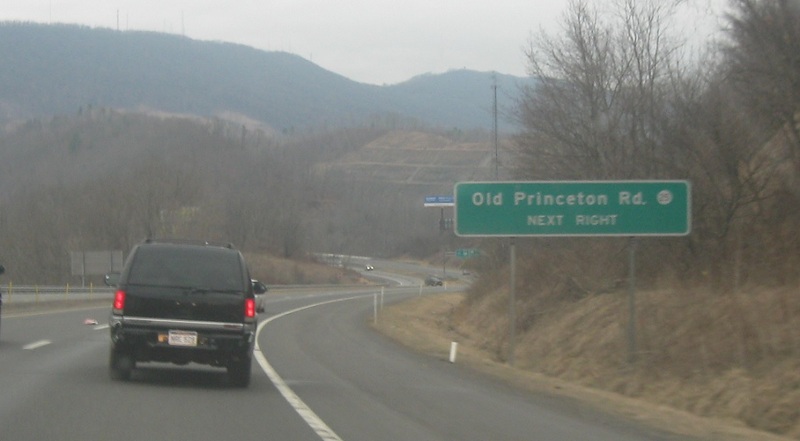 At Old Princeton Rd, we’re 1/2 mile from the US-19 split. 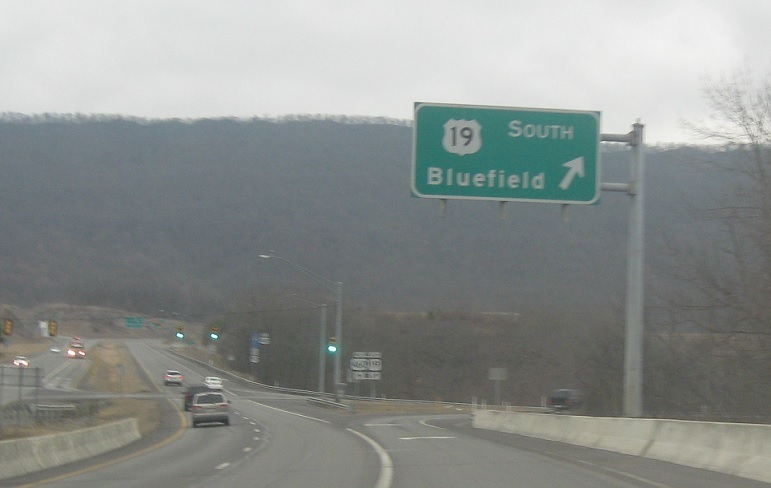 Ahead, US-19 will split to head into Bluefield. 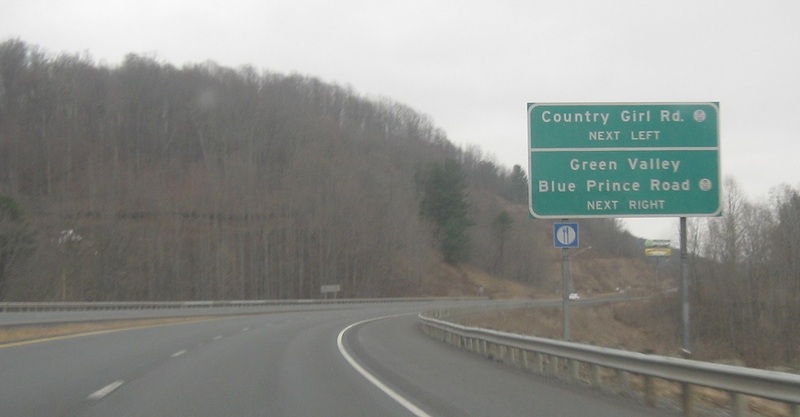 Stay left for 460 west to I-77. 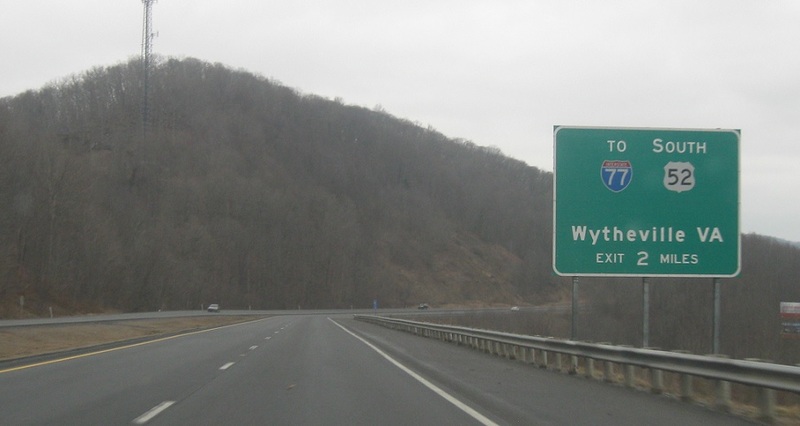 Stay straight for 460 west to I-77 and US-52.